HERES WHAT YOUVE BEEN WAITING FOR ... Fabulous home in The Reserve with all the luxuries and amenities you dream of. I cant imagine a better place to live. So many upgrades and improvements have been made over the past FEW MONTHS such as new carpets, new interior and exterior paint, new roof, refinished hardwood floors, new stainless-steel appliances, and so much more. The space and layout are truly unique since there have been 3 ADDITIONS to the original floor plan. The space is open and airy, has a great flow and is bathed in natural sunlight. There are soaring ceilings in the foyer and living room and a tray ceiling in the master BR. The space in this home is formal enough to entertain guests and comfortable enough for everyday use. The spacious kitchen features granite counters, a center island, and new tile backsplash - perfect for the chef in the family. Theres a separate breakfast area which is open to the expanded family room. The living room offers a formal space for entertaining yet exudes comfort for everyday living - the best of both worlds. Its adjacent to the dining room which provides a perfect space for formal dining or casual entertainment. A convenient first floor office/study, powder room and separate laundry room complete this floor. The 2nd floor has a luxurious master suite which is a serene place to relax and unwind. Larger than most bedrooms, this retreat has a huge walk-in closet, 2 additional closes, a bump-out, tray ceiling, fresh paint and new carpets. A remodeled spa-like bathroom is full of designer touches and finishes. It features dual bowl vanities, undermount sinks, separate stall shower and soaking tub. 3 additional bedrooms all have been freshly painted and have new carpets. A remodeled crisp hall bathroom completes this floor. Theres a huge unfinished basement that could be finished into whatever your heart desires ~ perhaps a playroom, fitness room, office, theater room or hobby area. The outdoor space is an ideal spot for bar-b-ques and summer time entertaining. This home is truly a gem tucked away in a down to earth town. If you crave a balance between small town living and proximity to great shops, restaurants, boutiques, parks and the big city than 96 Chinaberry Drive is for you. 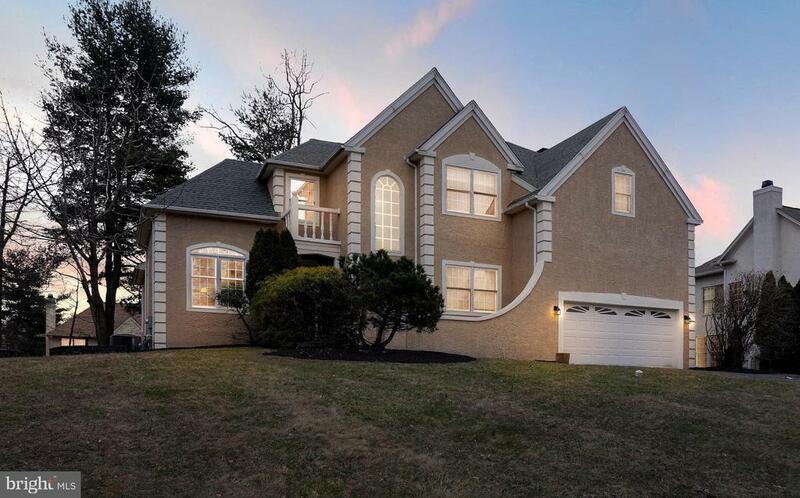 Located in the award-winning Colonial School District, its also close to Miles Park, Valley Green, KOP and Plymouth Meeting Malls, recreation facilities, ball fields, the library, all major roadways, the train to Center City. and so much more. Great Home! Great Price! Great Location, Location, Location!!! Welcome to Chinaberry Drive and Welcome Home. Hurry with your strong offers today - this one wont last.